" Great humidifier with zero noise. Easy to use and to fill and it works great with my machine. " " First experience with a humidifier. It is an absolute MUST HAVE. Just so much more comfortable the next morning. " Rain-out and water damage are large contributors to machine failures. The PR System One 50 Series humidifier and water chamber are breakthroughs in delivering consistent humidity without compromising water management. 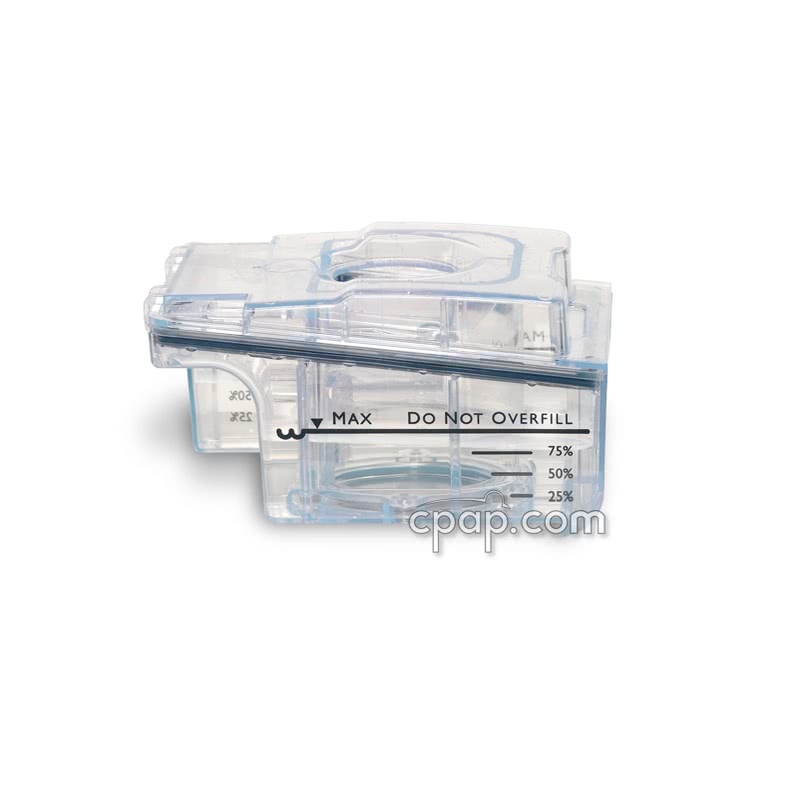 System One and Dry Box Technology make it possible for the PR CPAP machines to be virtually spill-free. 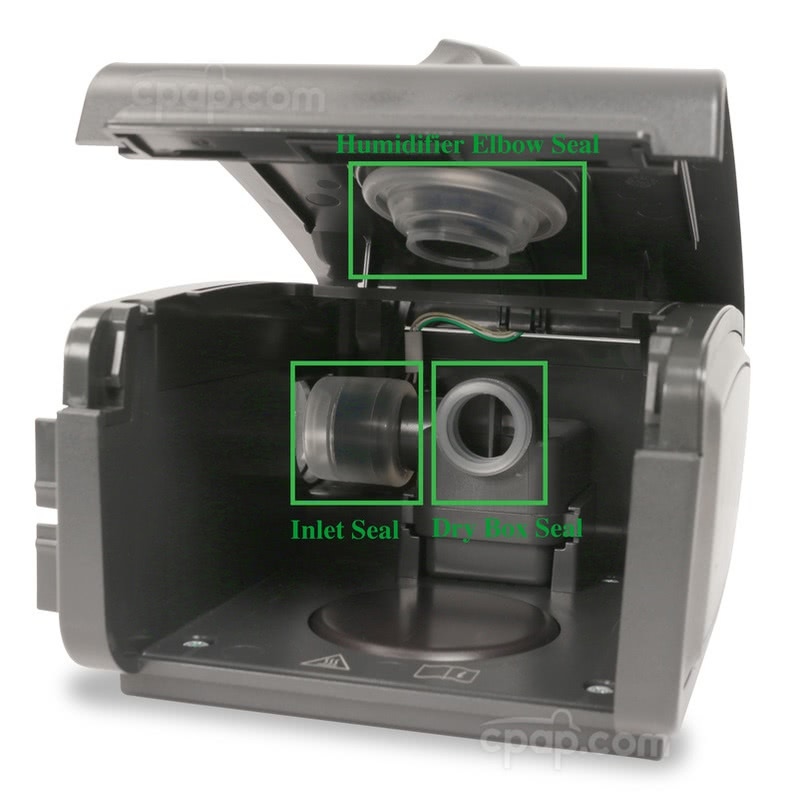 This humidifier can be tilted, shaken, or turned upside down without water leaking back into the device. 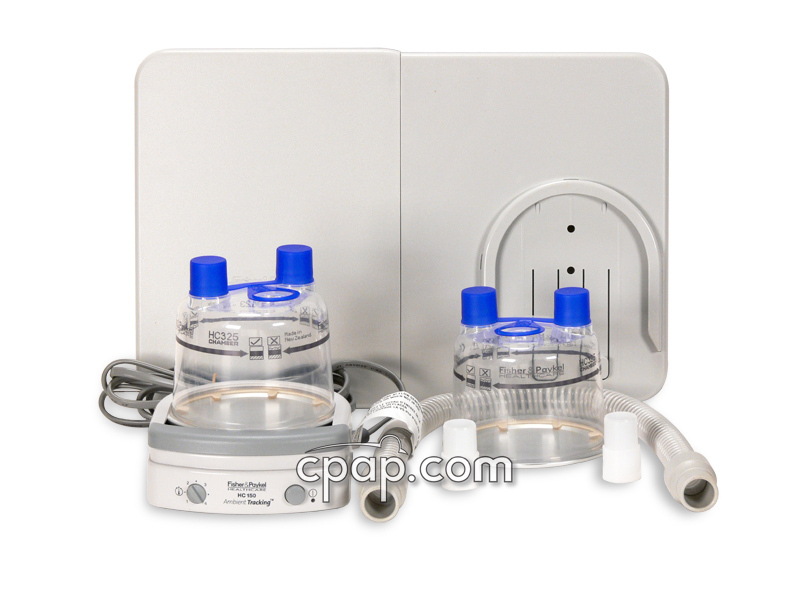 This humidifier is only compatible with Respironics 50 Series machines. Several unique designs are incorporated into the humidifier to prevent water from exiting the chamber. 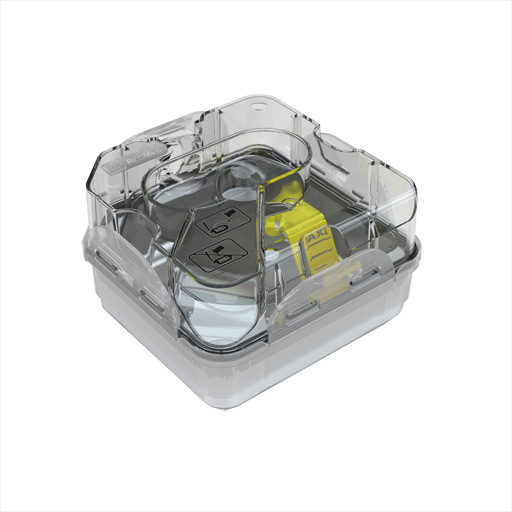 To start, Dry Box acts as a reservoir for any water ingress between the machine and humidifier. Also, the air outlet port has been moved from the side of the humidifier onto the top. This centers the entire delivery; minimizing the total water displacement around the hole. 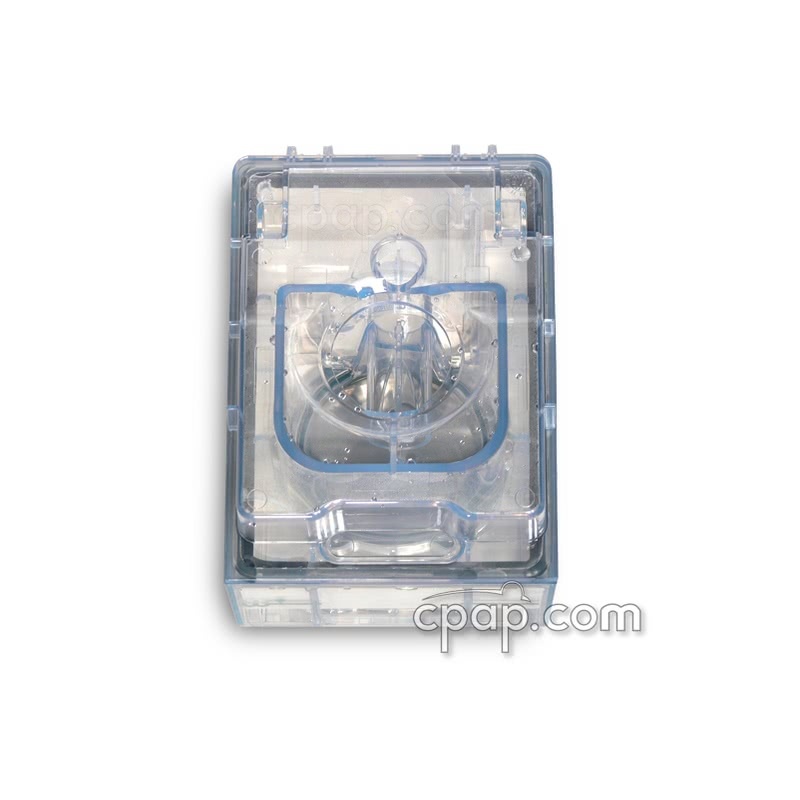 The water chamber is outfitted with a one-way valve, between the machine and the humidifier. In the event that the unit is moved, water that manages to escape the chamber gets trapped within the Dry Box. Please Note: This humidifier is not the heated tube humidifier for use with the System One 60 Series line of machines by Respironics. If the heated tube humidifier is needed, click here: PR System One 60 Series Heated Tube Humidifier. More information on how to identify the series of machine is available on the Important Tips tab of this page. System One Humidity Control Technology analyzes ambient temperature and patient airflow to reach relative humidity at the mask. This prevents rain-out from occurring inside the CPAP tube. System One is the first solution in the industry that accounts for room humidity. 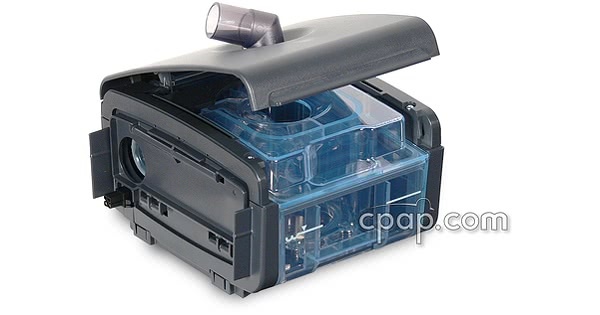 Sensors inside and outside the CPAP machine closely monitor changes in humidity and prevents condensation from forming inside the tube. Disposal: When necessary, dispose of the humidifier in accordance with local regulations. The user manual included with this humidifier can be viewed and downloaded here: System One Humidifier. Do not fill the water tank above the maximum fill line. Damage to the humidifier or therapy device may occur. If the water tank is overfilled, water may leak out of the tank inlet (located on the back of the tank) when installing the tank lid. Use only room temperature distilled water in the tank. Do not put any chemicals or additives into the water. Possible airway irritation or damage to the water tank may result. Remove the tank, empty all water, and replace the empty tank before transporting the humidifier base. Do not attempt to fill the water tank while it is inside the humidifier. To avoid spilling, do not disconnect the humidifier from the therapy device with water in the tank. Remove the water tank from the humidifier before disconnecting the therapy device. Do not turn the humidifier on without the water tank installed. The Humidifier number setting must remain on 0 if there is no water in the water tank. The humidifier door must be set in the open position before removing the water tank. Do not remove the water tank without making sure that the humidifier door locks into the open position. Do not move the humidifier while the water tank has water in it. PR System One REMStar 60 Series Machines and Heated Humidifiers are charcoal gray with metallic silver side and instrument panels. Original 50 Series PR System One units are dark gray with ivory colored side and instrument panels. The PR System One REMStar 60 Series Machines have the words "System One" in raised or embossed letters stamped in silver on both the machine and humidifier. Original 50 Series PR System One units do not have raised lettering, the branding information is painted onto the unit. PR System One REMStar 60 Series Machines and Heated Humidifiers have a 6 pin connection between the machine and humidifier. Original 50 Series PR System One Units have 2 tabs on the humidifier that fit into 2 slots on the machine. 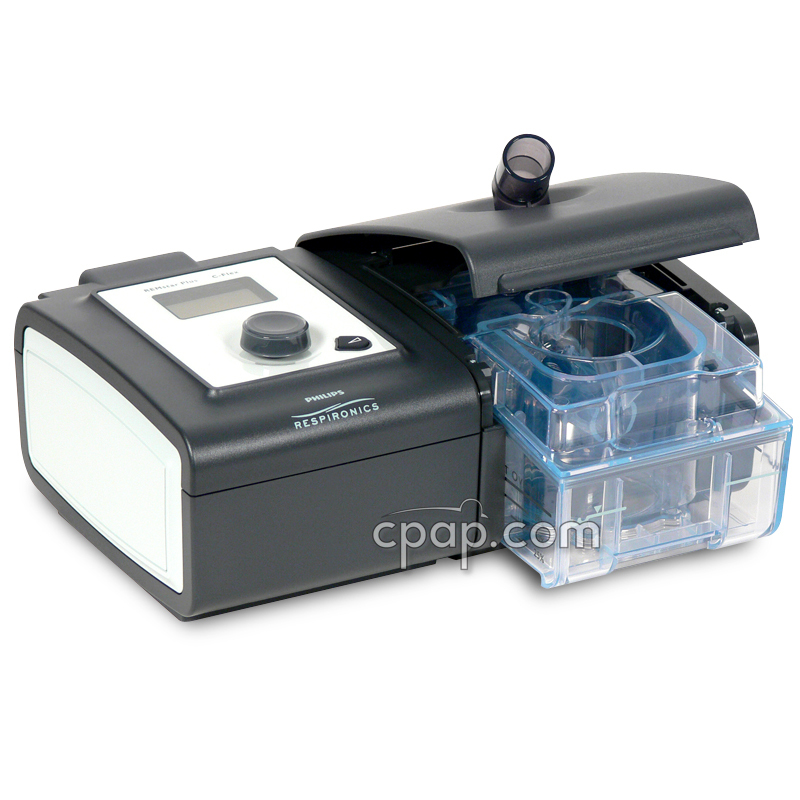 PR System One REMStar 60 Series Machines label identification example: the label on the bottom of the PR System One REMStar 60 Series Auto CPAP lists: "REMStar Auto"; "REF" of 560P; and Serial Number identified by "SN". The number 560 references the part number of the machine. Original 50 Series PR System One Machines label identification on the bottom of other versions of System One machines lists: Machine name; "REF" that does not have the number "6" in the second position from the left; and Serial Number identified by "SN". 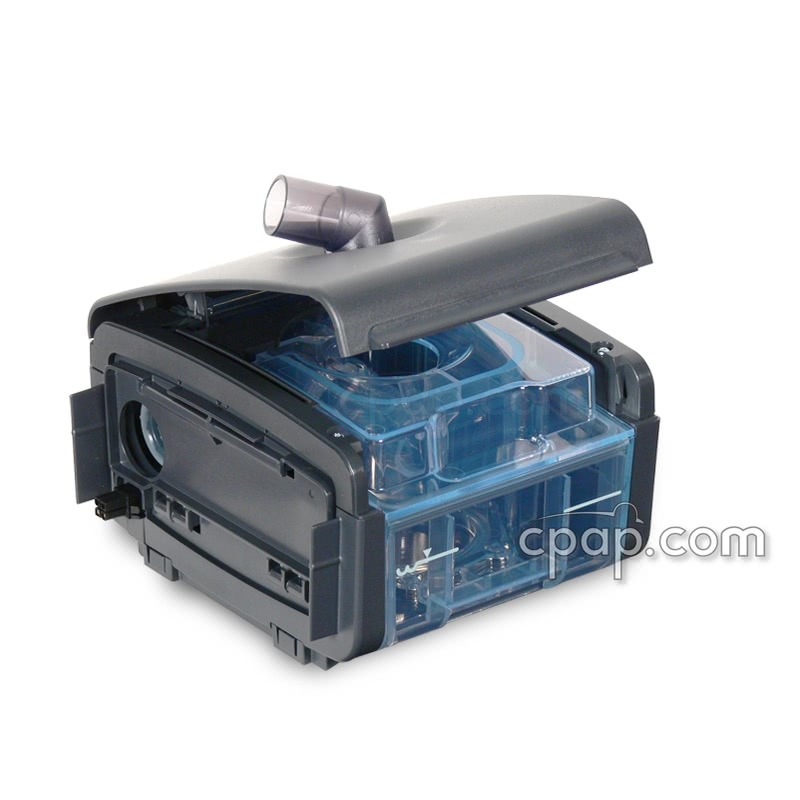 For example the label on the bottom of a PR System One REMstar Auto CPAP Machine with A-Flex lists "REMStar Auto" and "REF" of 550P. The number 550 references the part number of the machine. The part number of reference number used by PR for the PR System One Heated Humidifier is 1056209. The manufacturer lists an internal manufacturer number of "REF 1056215" on the bottom of the humidifier. That is for manufacturer use only. 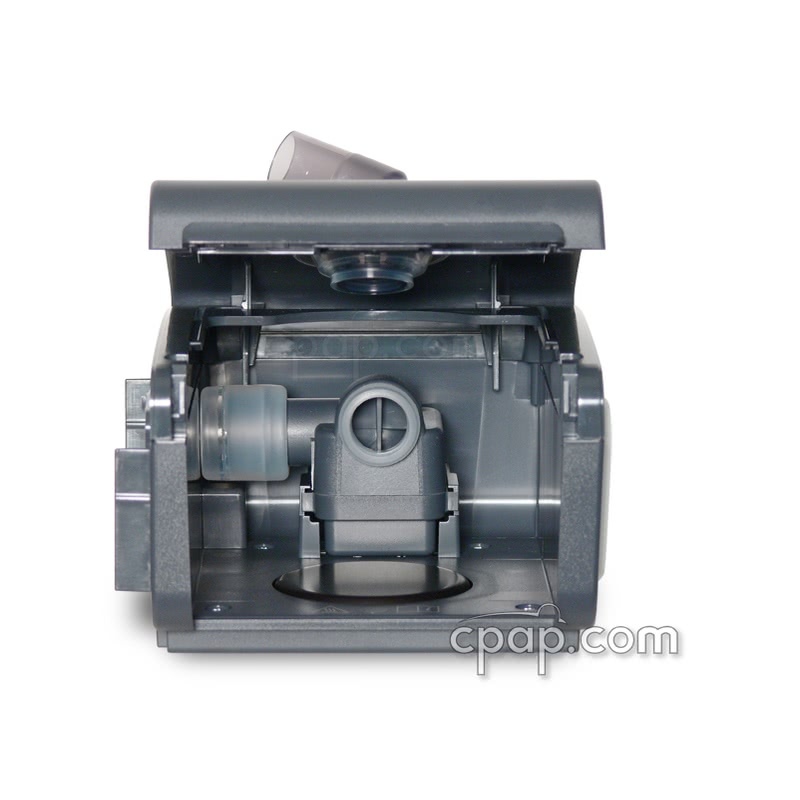 Per the manufacturer the part number for the PR System One Heated Humidifier is 1056209. The PR System One Heated Humidifier is DC compatible. Use the Universal 12 Volt DC Power Cord to connect to a DC power source.